"I have DVD discs bought from the store and homemade with video footage of weddings, christenings, holidays etc. I now want to make copies of these discs to keep them safe, but I'm newbies and don't know how to do it. Someone said I need to make a DVD copy program. It all sounds so easy but I just don't know any DVD copy software for Mac that will allow me to do this." It's a daily job to make a copy of a DVD on Mac to safeguard it against any damage and enjoy the movie video on iPhone iPad Android phones and tablets. 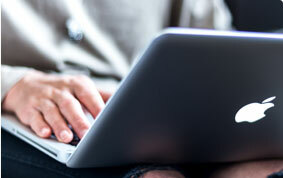 It's simple that many DVD rippers for Mac software has offered the answer. To make it easier, here we share a detailed guide on how to copy a DVD on a mac with best quality, which covers the most frequently asked questions about DVD duplication, including how to make backing up DVDs (unprotected homemade and protected commercial) on Mac in original quality with the best Mac DVD copier, whether you need to make a perfect 1:1 replica of a disc or save to Mac hard drive. When making a copy of a DVD on Mac, quality is what users care most: some may want 100% quality reserved simply because they need to stay away from the physical discs, some others may want to rip movies out of DVD to your mobiles yet without any noticeable quality loss that may degrade the viewing experience. For this regard, MacX DVD Ripper Pro is what we need. This is DVD copy software for Mac has a unique High Quality Engine which is able to switch between remuxing and lossless compression algorithm according to the selected mode to ensure the best output quality for DVD copy. It ensures 1:1 copy for DVD backup and 98% original quality for conversion to HEVC, H.264 or other formats. ▶ High Quality Engine will copy DVD 1:1 ratio into ISO image/MPEG-2 for safe backup or burning onto a blank disc, and also convert DVD to Mac supported MP4/MOV/M4V files or other popular formats with 98% quality. ▶ Mojave/High Sierra/Sierra/El Capitan/Yosemite or earlier macOS are all supported. Step 1: Load DVD. Free download MacX DVD ripper Pro. Import DVD movie and launch it. Then click "DVD Disc" to load the disc. Step 2: Choose Output Format. Choose a mode you want to copy DVD on Mac (MacBook Air/Pro, iMac 5K, Mac Mini etc). Remember: to ensure the highest output quality, do check the High Quality Engine on right lower part of the main interface. 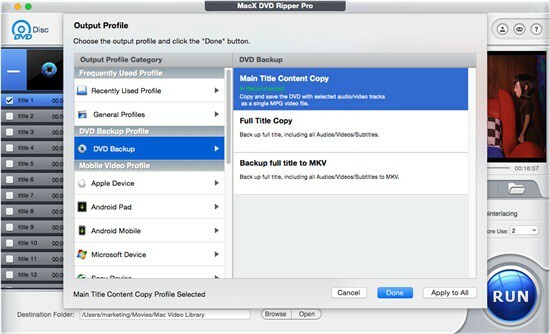 To backup DVD to Mac hard drive or flash drive, select DVD Backup mode and choose a profile you need like Main Title Copy, Full Title Copy or MKV. In DVD backup mode, the High Quality Engine will strip the primary components (video, audio, and subtitles) and bonus material from the disc and then combine the video and audio tracks with the subtitle tracks into a digital format. In this process, the software will do no change to the content of the disc, therefore, untouched is the complete disc containing everything: extras, commentary, deleted scenes, etc. Without re-encoding, this tech ensures a super-fast DVD copy experience, while guaranteeing the exact 1:1 movie quality of its audio and video streams intact as on original disc. This mode is suitable for: those who don't care about the file size and want to make an exact digital copy of DVD on Mac since the engine ensures 1:1 data and therefore large size. To copy DVD to Mac for playback on QuickTime or VLC player, or edit in iMovie, FCPX, select HEVC or H.264 from Mac General Video. 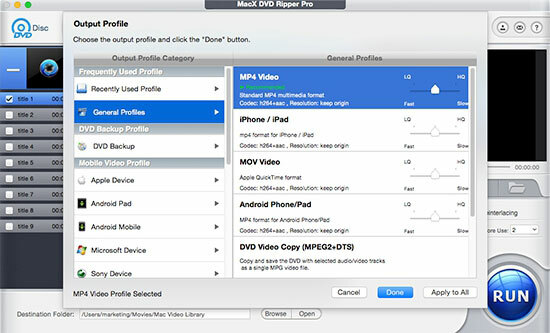 To rip DVD on Mac for easier playback on mobiles like iPhone, iPad or Android, select the specific device from Mobile Video Profile. In DVD conversion mode, the High Quality Engine will take advantage of entropy encoding to reconstruct the exact original data from the compressed data. This tech not only reduces the redundancy in data representation to decrease the storage required but also retains the maximum quality via the lossless compression. Together with the DVD copy software's Level -3 Hardware Acceleration which is developed to speed up the DVD copy speed by 5x faster and Deinterlacing tech, it achieves an efficient DVD conversion and strikes a perfect balance between quality and file size. 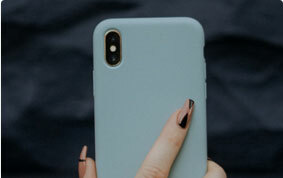 This mode is suitable for: those who need to keep the video size small due to the limited storage of Mac hard drive, smartphones or tablets while still care about the video quality. Step 5. Select a destination folder to save the digital copy of the DVD movie ripped on Mac by clicking "Browse" button. Step 6. Click "Run" to start the DVD copy process on Mac with this DVD copying software for macOS. You are free to copy any new movies DVD this way. 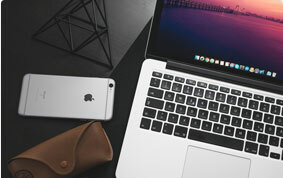 There are many other Mac DVD copiers, though don't live up with their claims to rip copy protection DVD, do an excellent job to copy DVD to computer as long the disc is not copy-protected. To backup and copy a homemade DVD to hard drive, there are a variety of programs like MacTheRipper or Handbrake. Below we take the popular Handbrake as an example to show you how to use HandBrake to save a copy of DVD movie on Mac, for non-protected homemade discs. Step 1. Free download the DVD copying software on your iMac 5K, MacBook, MacBook Air/Pro etc. The latest version works on 64-bit Macs running OS X 10.6 or later. Step 2. Now insert the disc to DVD drive and launch HandBrake. Once the scan is complete, HandBrake chooses what it thinks is the main title, but you can click the pop-up menu next to Title and choose the item you want to encode. Step 3. Choose a preset. 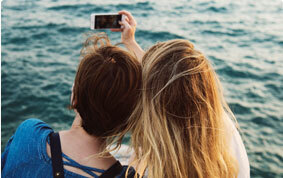 Choose a preset like an iPhone or an Android tablet. Step 4. Once you pick your preset, there are a few settings you might want to tweak, depending on your specific needs. 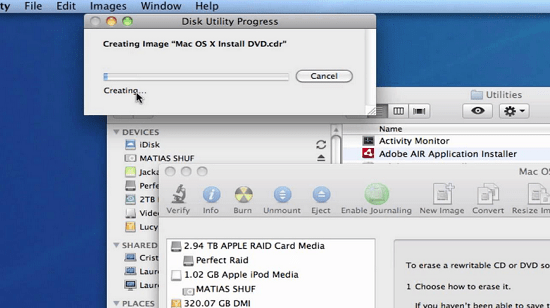 When you're all set, click the Start button to copy DVD content to your Macbook or iMac. Step 1. Insert the DVD in DVD drive. Click "Applications," then click "Utilities" and select "Disk Utility." Step 2. Click on the icon for the DVD in the left-hand pane. 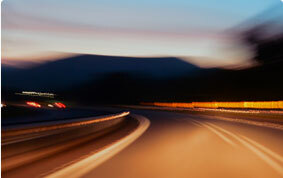 Click "File," then click "New" and select "New Image from [your DVD's name]". Type a name for the image and select "DVD/CD Master" under "Image Format." Click "Save" to create the disc image. After copy DVD to computer in an image file, take out the original DVD. Step 3. Click on the name you chose for the disc image, then click "Burn" at the top of the window. Insert a blank DVD and click "Burn" to copy the image to a DVD on Mac. Note 1: Note that not all Macs have a hard drive. How to save a solid copy of the whole disc on Mac Macbook, MacBook Air Retina, MacBook Pro or iMac 5K with no drive? You will need to get an external DVD drive first. Note 2: It's worth noting that the Motion Picture Association of America (MPAA) and most media companies argue that commercial DVD copying and ripping is illegal and you shouldn't copy or convert any bought DVDs and Blu-ray Discs for any reason.